How would you feel, as a car designer, if your boss told you that he thought your latest creation looked like a “poached egg”? Well, that is what Lord Nuffield told Alec Issigonis about the Morris Minor prototype. At the end of World War Two most British car firms were striving to get their first post war models onto the display stands at London’s Earls Court for the 1948 Motor Show. Issigonis dealt with his boss’s complaint by splitting the Minor’s bonnet long ways where he inserted a raised metal strip. This enhanced the look of the car and satisfied the boss. The engine of that launch car had to make do with the old Series “E” which was tweaked a bit for the Minor. It had independent front suspension which came from work on an 85 ton tank by a fellow car designer. At the Motor Show the Morris Minor was a great success and orders rolled in especially from the all-important export market. No heaters for the South African market and in India it was labelled the baby Hindustan. America was keen but almost as soon as the Minor appeared there they brought out legislation on headlamps. This meant a change in the lighting arrangement but sales in North America were good once that was done. Ray Newell’s book gives a wealth of detail about the Minor and is lavishly illustrated both with photographs and reproductions of adverts used throughout the world. When Austin and Morris merged in 1951 to become BMC, British Motor Corporation, this led to the Minor getting the 803cc OHV engine from the Austin A30. In 1954 came a facelift which gave the Minor a new look, the van and pick up variants were introduced to an enthusiastic market. Initially the van and pick up were 5 cwt payload. This got pushed up to 6 cwt in later years. Huge orders came from the Post Office and Post Office Telephones who stipulated rubber front wings for their vans. The 2 door saloon was popular as a Police Panda car for some years. The Traveller or Station Wagon as the Americans called it, had an ash framed body made in Coventry. It cost £599.13s.4d (which included £177 purchase tax) when launched. The Traveller had its niggles sorted and stayed in production until 1971, long after the saloon and convertible had ceased being made. The Armed Forces bought 746 for the BAOR usage. Next improvement was the Minor 1000, with a much improved engine. 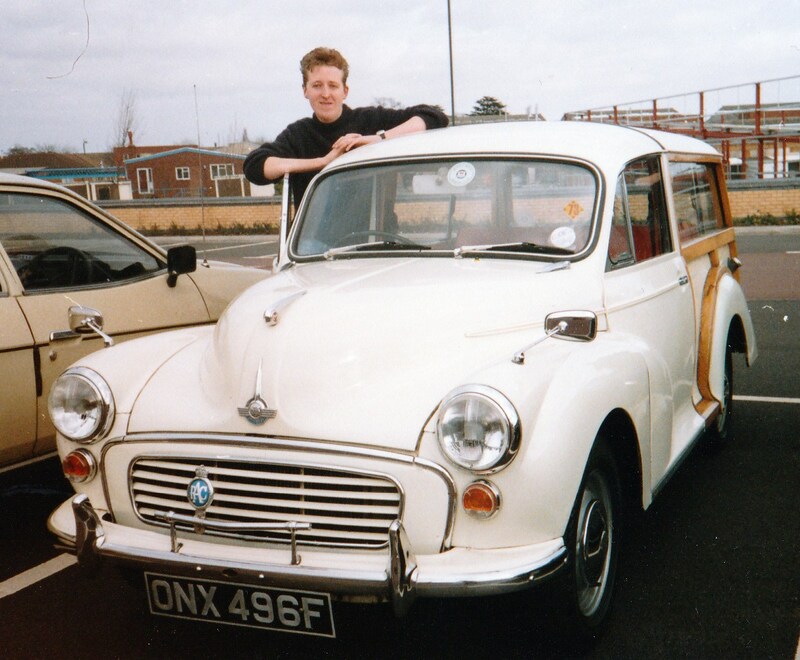 Soon after came the limited edition Morris Minor Million of which 350 were made. I was a salesman at a Morris dealer when it came out and we groaned at the special colour chosen for the car, a delicate shade of Lilac with white upholstery. 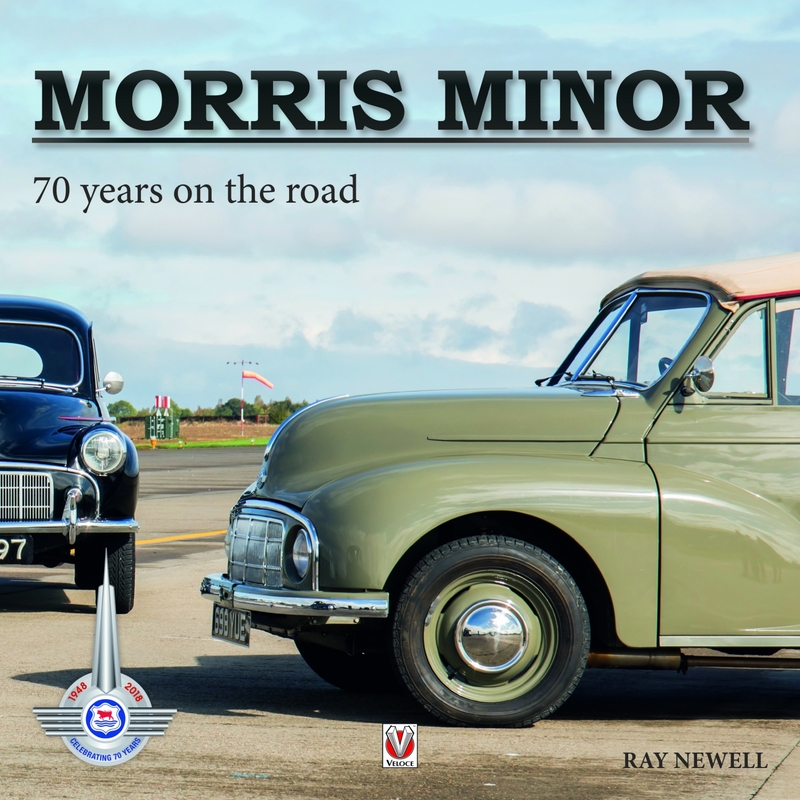 Pages of post-production vehicles portray fascinating conversions based on Morris Minor running gear. There is mention of an electric version under development. Not bad for a 70 year old car ? Minor Car Clubs abound world-wide. A veritable industry has developed for renovating old cars and vans of which the Charles Ware business in Bath is most well-known. Spare panel parts are made in Sri Lanka and British Motor Heritage produce spare parts for Minors.